Reserve cheap international Backpacker Hostel and a Vip travel tour guide for vacation, tourism, leisure and shopping in Panama – Hostel Villa Michelle. 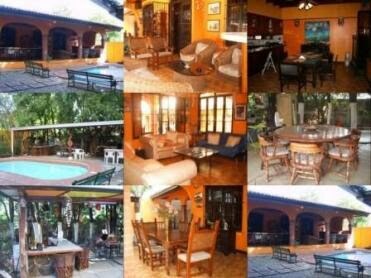 Villa Michelle is known as Panama City "luxury" Hostel for backpackers, who are always surprised to discover that this beautiful house has been transformed into a Hostel. Long rated one of the best hostels in Panama, Hostel Villa Michelle is a hostel to stay. Our rooms are totally private, 2 big kitchen to cook, free internet, free wireless internet, swing pool, easy walking distance of the best that Panama City has to offer. Close by one of Panama City’s main streets (Via España) with transport options to everywhere you want to go. A minute walk will get you to the cheapest restaurants options and the best shopping area of Panama City. Backpacker Hostel Villa Michelle is close by the best tourist attractions in Panama City and the best nightlife and more. Then ask for our long term rates.